As the daylight shortens, the air chills and the leaves turn, I crave a taste of fall. The combination of pumpkin, cinnamon and nutmeg with a touch of chocolate in these Pumpkin Chocolate Chip Muffins hits the spot. It was my goal to pack in 2 cups of pumpkin puree into one batch of 24 muffins. One pie pumpkin can yield upwards of 4-6 or more cups of puree. Most recipes I was testing only used 1/2 cup to 1 cup of pumpkin and so began my journey. These are not large muffins and they are also not too sweet. If you have a sweet tooth you’ll want to increase the chocolate chips or add an extra 1/4 cup of sugar. I add 2-3 chocolate chips to the top of each muffin before baking (as indicated in the recipe below). This trick catches the eyes of my children and has them gobbling down a batch in no time. I’ve been making and tweaking this muffin recipe for a few seasons and I hope you enjoy them as much as my family. It starts with the right pumpkin or the right can. Canned: an economical and convenient option. Be sure to buy 100% pure pumpkin. Do not buy pumpkin pie filling, buy only 100% pure pumpkin. Canned pumpkin pie filling already has seasoning added and sometimes added sugar. Purchase 100% pure pumpkin so you can control the flavour and sweetness. Make your own: my personal favourite. Making your own puree starts with acquiring the right variety of pumpkin. Sugar pumpkins or pie pumpkins are the two names I seek out. They are typically small and round, the flesh is thicker, has more flavour and they are not as watery. You can eat the large pumpkins sold mainly for decorations and carving but your end result will not be as delicious. Fellow Professional Home Economist (PHEc) Getty Stewart has an excellent “How to Make and Freeze Pumpkin Puree” instructional post. Go check it out! Now, go to the kitchen and bake something delicious! Preheat oven to 350F. Prepare pan(s) with parchment muffin liners. In medium size bowl, whisk together flours, wheat germ, cinnamon, baking soda, baking powder and nutmeg. In a second bowl, beat together pumpkin, sugar, canola oil, eggs and vanilla. Add 2/3 cup chocolate chips and stir just to combine ingredients. Add batter to prepared muffin pans using leveled 1/4 cup measure. Drop 2-3 chocolate chips to the top of each muffin. Bake for 18-20 minutes or until a toothpick comes out clean. Remove from pans and let cool on a wire rack. Regular muffins – makes 24 if you are precise with the 1/4 cup measure. If not, you might get a couple less. Mini muffins – makes 48 if you are precise with a 2 tsp scoop. Bake at 350F for 12-14 minutes. It’s zucchini time! On the Prairies from late July until the end of August it’s zucchini season. Did you know these summer squash can grow up to 1 meter long!? Stop in at any farm yard or visit an urban garden enthusiast at this time of year and I’m sure you’ll leave toting a zucchini too large to fit in your fridge. I like to make them into delicious cakes, loafs, muffins and other baked treats. Save the small tender ones for grilling and eating raw. You can also grate and freeze extra zucchini for winter baking or for adding into sauces and soups. 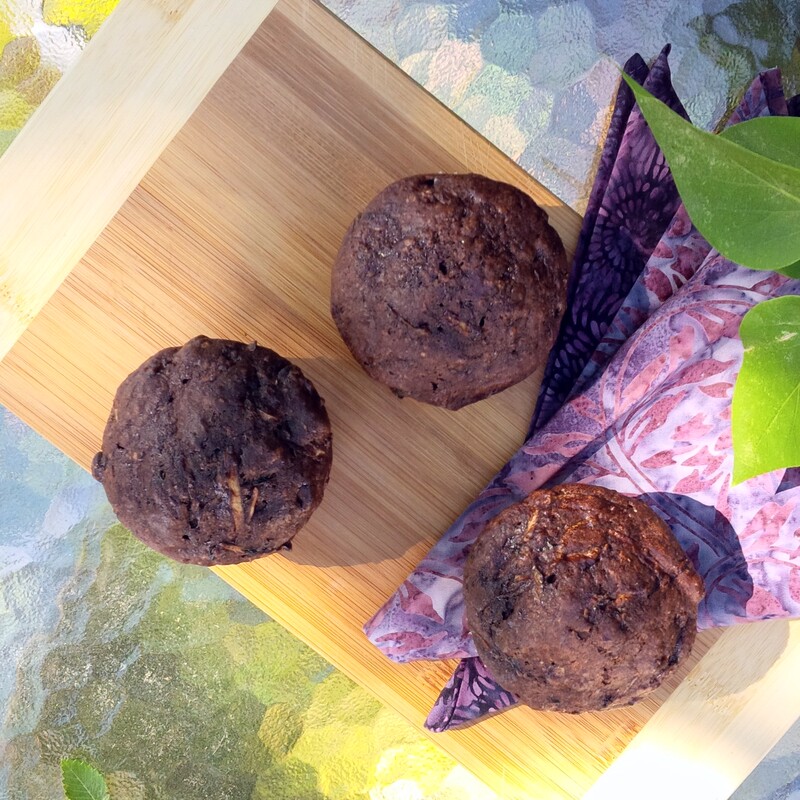 Here is our family favourite recipe for Chocolate Zucchini Muffins. Preheat oven to 350F. Prepare pan with parchment muffin liners. In medium size bowl, whisk together flour, cocoa powder, wheat germ, cinnamon, baking soda and baking powder. In a second bowl, beat together sugar, canola oil, milk, eggs and vanilla. Add zucchini and chocolate chips and stir just to combine ingredients. Add batter to prepared muffin pans using leveled 2 Tbsp (30 mL) measure. Mini-muffins – makes 24. Bake at 350F for 12-14 minutes. Rhubarb. It’s the first taste that summer is almost here on the prairies. 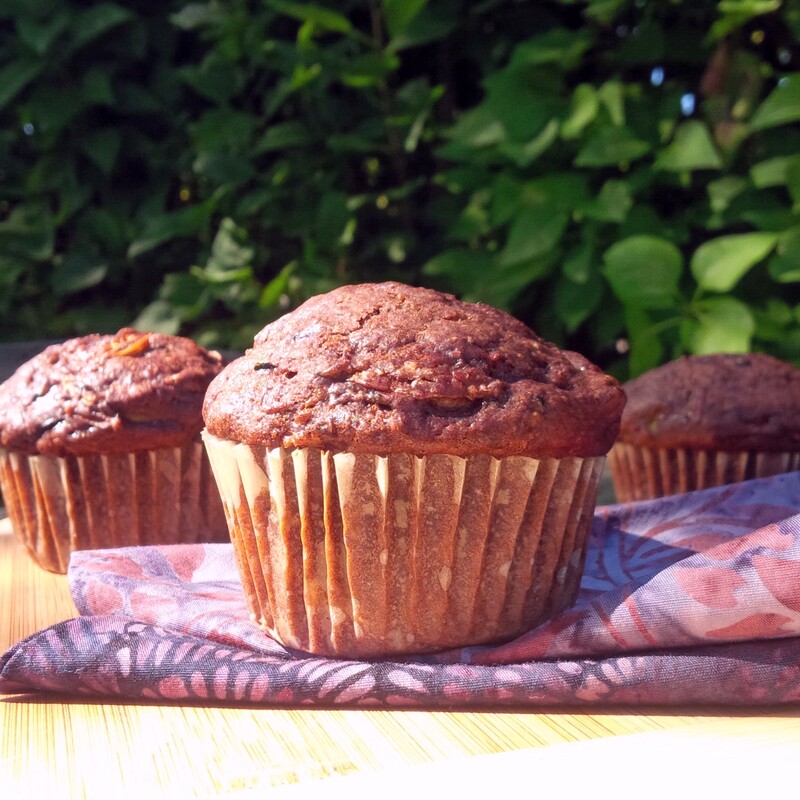 These Rhubarb Walnut Muffins are a family favourite that can be made regular size, mini or into a delicious moist loaf. Best served with coffee or enjoyed as a snack on the go. No matter where I take them I’m always asked for the recipe. Preheat oven to 350F and spray two muffin tins with canola oil cooking spray on line with muffin liners. In a large bowl mix together brown sugar, canola oil and the egg until well combined. Add milk and vanilla. Mix well. In a separate bowl, whisk together; the flours, wheat germ, cinnamon and baking soda. Add the dry mixture to the wet mixture and mix until just combined. Fold in rhubarb and walnuts. Divide the batter into the prepared pans. Bake in the preheated oven for 18-20 minutes or a toothpick comes out clean. Mini-muffins – makes 48. Bake at 350F for 15 minutes. Loaf – makes 2. Bake at 325F for 55 minues.